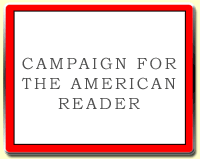 New York Times bestselling author Karen Harper is a former high-school and college English teacher. Winner of the 2005 Mary Higgins Clark Award for her outstanding novel, Dark Angel, Harper is the author of numerous romantic suspense novels, historical novels, and a series of historical mysteries. 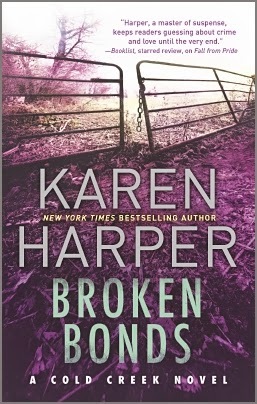 Her new novel is Broken Bonds, book #3 in The Cold Creek Trilogy. 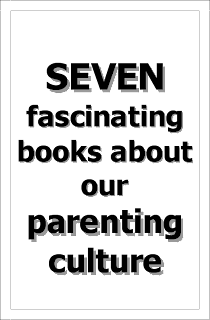 "What is Karen Harper reading?" Research for a new trilogy with a forensic psychologist heroine, someone who interviews people who knew the deceased, in this case to learn if the death was murder or suicide. However, the heroine also has narcolepsy--a disease about which I knew little. It is terrifying and challenging--just what I needed for my main character. So I'm reading, among other research, a fascinating book about a female law student who got hit with narcolepsy and how she handled it. It will really help me get inside my protagonist's head. The book is Wide Awake and Dreaming: A Memoir of Narcolepsy by Julie Flygare. It's also a can-do book in the line of the current Reese Witherspoon movie Wild and other overcoming, inspirational books about conquering fears or a disease.